Taking care of my family’s teeth is very important to me. We have three children and dental visits can be very expensive. I would rather invest in a good quality toothbrush and dental accessories and avoid those painful and costly trips to the dentist by developing healthier, stronger teeth and gums. Violife is an online resource for toothbrushes, sonic toothbrushes, UV toothbrush sanitizers and dental accessories for adults and kids. The quality of this product line is very nice, there are stylish options to choose from and the pricing is attractive. I really like the Slim Sonic Toothbrush (SRP $14.95) which is a unique battery operated, portable toothbrush with a mascara style vented cap that is perfect for taking with you when traveling or on the go. It has a wonderful sleek design and a compact case so I can simply toss it into my purse or travel bag and can brush my teeth after dining out, at the gym or as needed when traveling. 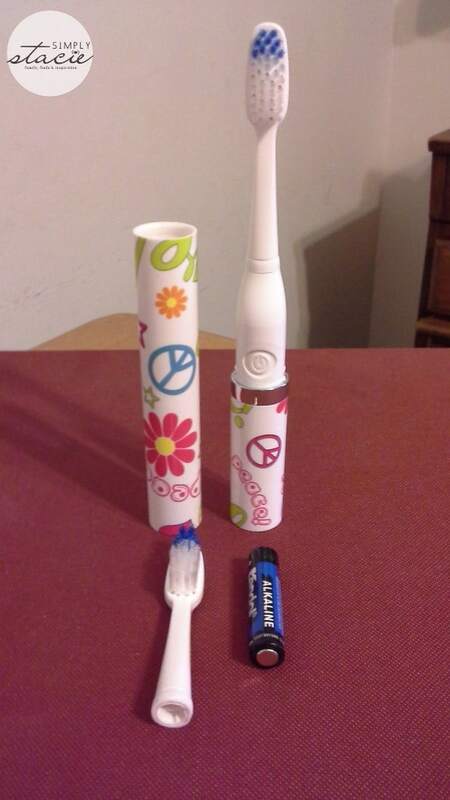 There is a wide selection of stylish designs with vibrant colors and patterns to choose from at Violife too and it is so discreet that no one would even realize that there is a toothbrush in the case. The battery operated function of this toothbrush is quite impressive with 22,000 brush stroke vibrations per minute. My teeth felt very clean and my mouth freshened after using this toothbrush for two minutes. Included with your Slim Sonic toothbrush is an extra head that is provided for free too. After that you can purchase a 4-pack of replacement heads for only $9.95. One extremely useful dental accessory in my opinion is the Zapi UV Toothbrush Sanitizer which is currently on sale for $34.95 at Violife! This award-winning design can be used with most toothbrushes or electric brush heads as well as the Slim Sonic Toothbrush. By using germicidal UV light technology, it eliminates 99.9% of germs and bacteria (such as H1N1, E. Coli, Salmonella etc.) so it is essential in our home to keep my family as healthy as possible. Normally, if anyone in our home is even slightly ill I throw away all of the toothbrushes and give out new ones. With the Zapi unit, I can sanitize the toothbrush head in only 7 minutes and it automatically shuts off when the process is complete. 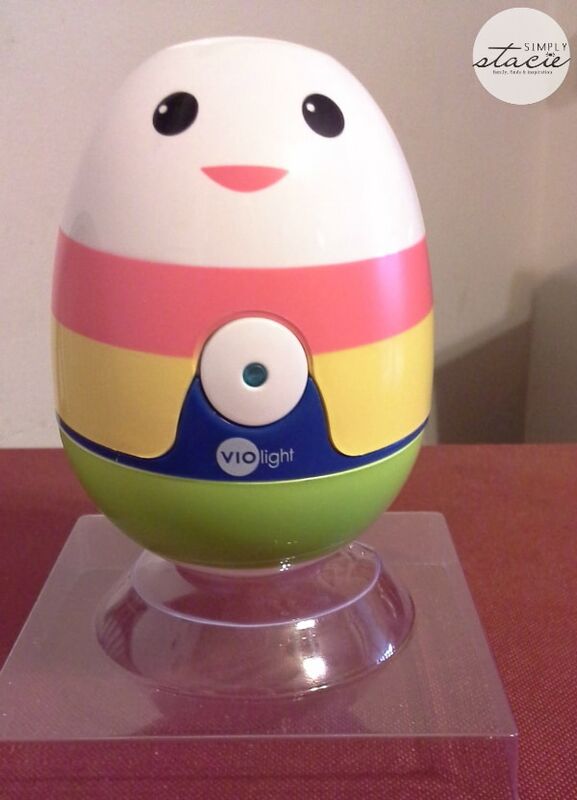 I found it very easy for my children and I to use and it runs on 3 AA batteries. Some units available at Violife even include a free manual toothbrush! You are invited to visit Violife to browse the entire product line and purchase the Slim Sonic Toothbrush and the Zapi UV Toothbrush Sanitizer. Which design is your favorite? I really like the one shown – with the peace symbols – my daughter loves the peace symbols on just about everything – but I would take any of them because I love the fact that they can be covered, thanks! Thanks for a chance to win a Violife Slim Sonic toothbrush.Iove the idea of taking it anywhere and that it’s covered.This is an awesome giveaway. I like the Slim Sonic Toothbrush with the lips. The Violife Rockee Toothbrush is the coolest! My grandkids would have a ball with them. Hopefully they would spend time brushing and not just playing.